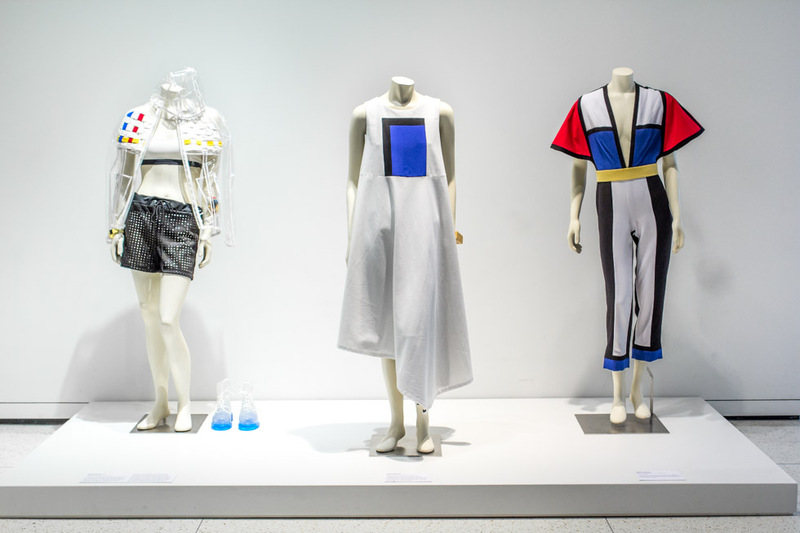 This summer, fashion students from California, Oregon, and Washington were invited to create an original look informed by the Seattle Art Museum’s exhibition Yves Saint Laurent: The Perfection of Style. Contestants drew inspiration from three iconic Saint Laurent dresses in the exhibition: the Mondrian dress, 1965, Safari dress, 1968, and Evening gown, 1983. Participants applied creativity, talent, and ingenuity to create new looks that reflect their personal perspectives and modern approaches. Congratulations to our three winners whose outfits will be on display at SAM through February 2017. Cocktail dress, Homage to Piet Mondrian, Autumn–Winter 1965 haute couture collection. Possibly YSL’s most famous look ever, the Mondrian dress brought fine art into fashion with a playfulness that was perfectly in tune with Pop art and music of the moment. YSL audaciously applied the modernist concept of flatness to the dress—no darts, no zippers—what the studio called “a three-hole dress.” With this iconic dress, the body became a canvas for abstract style. 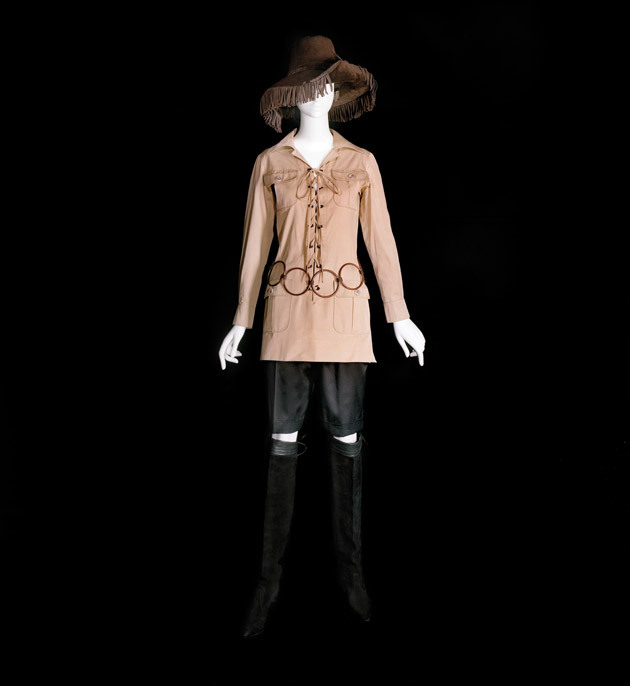 Daytime ensemble, Spring–Summer 1968 SAINT LAURENT rive gauche collection. This iconic look reached back to France’s colonial past and images of big game hunting. But it took hold with a new audience in the late 1960s as Saint Laurent adapted the laced-up tunic for both men and women, a revolutionary idea of androgyny that would help define the decade of the 1970s. The tunic dress could be worn with trousers, shorts, a midi skirt, or all by itself with tall boots—the point was that the wearer could mix and match and make her own style. Evening gown, Autumn–Winter 1983 haute couture collection named “Paris”. This black velvet sheath dress with Paris pink satin bow achieved the perfect balance of restraint and spectacular display. Saint Laurent talked about his quest to achieve a sense of effortlessness, inspired by the head of his dressmaking team: "She told me that a dress must always look like it is about to fall off. That a man's smallest gesture should cause the dress to fall away." "ENSEMBLES – HABILLES" collection board, Fall–Winter 1965 haute couture collection. IMAGES: Photo: Natali Wiseman. Cocktail dress, Homage to Piet Mondrian, Autumn–Winter 1965 haute couture collection, sleeveless straight dress of wool jersey with ivory, black, blue, red and yellow wool jersey appliqués, Fondation Pierre Bergé – Yves Saint Laurent, Paris. Daytime ensemble, Spring–Summer 1968 SAINT LAURENT rive gauche collection, beige cotton gabardine safari jacket with lacing through copper metal eyelets; black cotton twill Bermuda shorts; belt composed of copper metal rings, Fondation Pierre Bergé – Yves Saint Laurent, Paris. 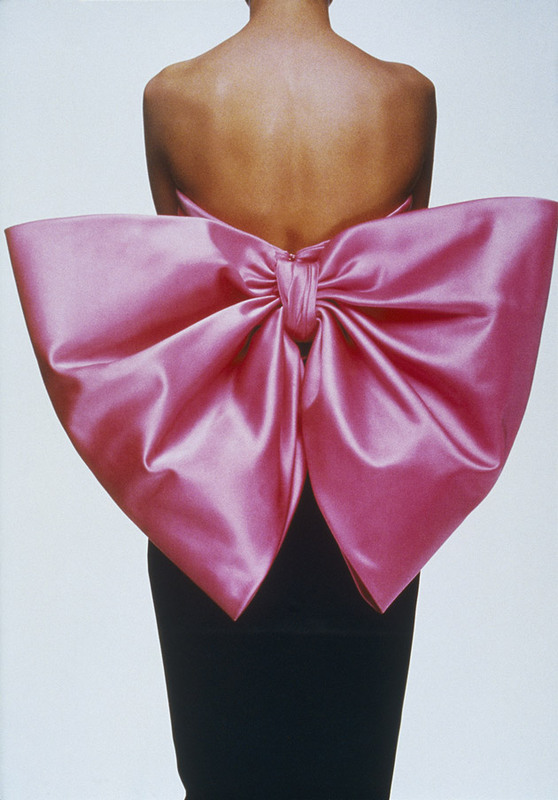 Evening gown, Autumn–Winter 1983 haute couture collection named “Paris”, strapless gown: draped “Paris” pink silk satin bodice with large bow on back waist; black silk velvet skirt with short train, Fondation Pierre Bergé – Yves Saint Laurent, Paris, Photo: Gilles Tapie. 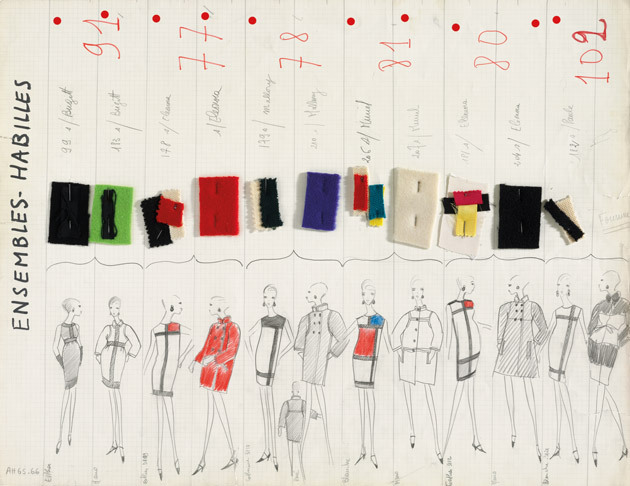 "ENSEMBLES – HABILLES" collection board, Fall–Winter 1965 haute couture collection, mixed media on thick grid paper pinned with fabric swatches, Fondation Pierre Bergé – Yves Saint Laurent, Paris.